This week is National Police Week, and we want you deal with police in a legal, yet legally savvy, way. We all know that a police officer's sworn duty is to protect and serve the public. Still, having an officer stop you on the street, pull you over on the road, or ask you a simple question can be nerve-wracking, even when you haven't done anything wrong. If police ask to search your home (without a warrant), you can say no. One of the easiest ways for police to legally search a home is by asking the permission of the homeowner. You can say no, but it only takes one occupant saying yes to consent to a search of your home. Of course, if the cops show up with a search warrant, then you can't refuse (though you may be able to challenge the warrant later in court). Not detained? You can walk away. Police can detain a suspect if there is reasonable suspicion of criminal activity, but officers can also just stop and chat with you. Ask officers if you're being detained. If they say "no," feel free to walk away. Miranda rights are read only after an arrest. If you are being detained, officers do not need to read you your Miranda rights -- that's typically done only when you've been arrested. Remember your right to remain silent. Miranda does require officers to inform you of the right to remain silent, and you can refuse to answer police questions at all points leading up to an arrest. Say these words: "I want to speak to my attorney." You can refuse to answer police questions in custody all day, but they can also keep asking -- unless you explicitly tell them you want to speak to your attorney. You have limited rights to record police. You may be able to use your smartphone to record police making an arrest in public, but you must still comply with police requests to back away or identify yourself. You can refuse consent to search your car in certain situations. Like Jay-Z said, you don't have to allow officers to "look around the car a little bit" -- unless they have a warrant or probable cause to suspect you're armed or involved in criminal activity. Don't make erratic movements while stopped. Whether you're at a DUI checkpoint or were pulled over for a routine traffic stop, don't raise officers' suspicions by making erratic movements. 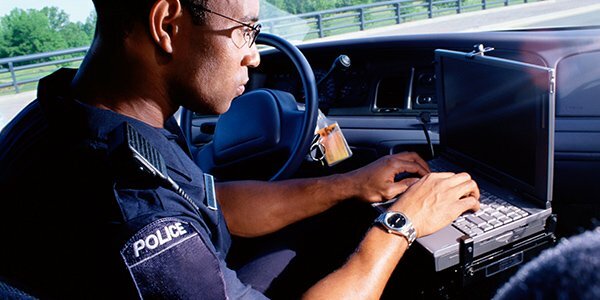 Remember, police read Facebook too. Law enforcement is now well aware of criminals posting incriminating things on Facebook, Twitter, Instagram, and other social-media sites. Anything you share or tweet can be used against you. You can sue the police -- but there are certain procedures you'll need to follow. It may initially sound strange, but victims of police brutality and other misconduct can sue the police for compensation. However, suing the police may require filing a claim with local government before your claims go to court. When dealing with police, you'll want to respect their authority, but do not be ignorant of the law. To learn more, check out FindLaw's comprehensive section on Criminal Rights.